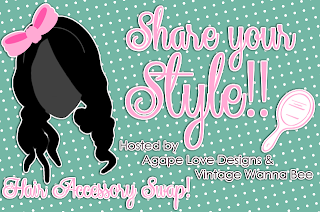 I had the great pleasure of participating in an awesome accessory swap with Vintage Wanna Bee and Agape Love Designs . We are all sharing our spoils on Monday but since I’ve got the Breaking Dawn party then I’m sharing mine a little early. I hope no one minds :) I got paired up with Rachel from Summer Breeze. When we were getting to know each other over email she told me she was a big Green Bay Packers fan. And since I know some other Packers fans I know how serious their team pride can be. I thought it would be fun (among other things) to make her some cute clippies to wear while cheering on her favorite team). I also sent her some girly stuff since she said she liked flowers (tutorials for those to come for now here’s my basic rosette tutorial). I received a box full of all these awesome goodies from Rachel. I’m in love with the big one I’m holding so much! And if you want to make your own team pride hair clips here’s how you can make your own. All you have to do is find your own teams logo and colors. You’ll need: felt (mine was yellow), scraps of fabric (I used green and white), and small pieces of Ultra Heavy Heat Bond. First make yourself a stencil based on your team’s logo. Then make yourself some iron on fabric by ironing the heat bond to your scraps. You can do this on a cutting machine or by hand cutting out your fabric. If you don’t have a cutting machine that can cut images you make just trace the stencil onto the paper side of the iron-on fabric. Make sure to flip the image though so that when you look at the right side of the fabric it will be facing the right way. Repeat with your various colors. Remove the paper backing and layer your different fabrics on top of a piece of felt. Iron. Then cut your felt to the right shape. Cut a small piece of felt and weave it in the hair pin. Then with a hot glue gun put some glue on the felt and the top side of the hair pin and glue it to the back of your logo piece. Let cool and you’re good to go. I LOVE those football clips! I need me some 49ers ones!! Also, I totally love the pretties she sent you! That dahlia looking one is gorgeous! Thanks for participating, in the swap. Dont forget to link up!! Love the tutorial! And the clips! 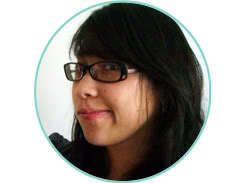 Thanks so much, I loved your hair stuff, and I am really so happy that you liked yours. these a so freaking cute! These hair clips are so cute! Love the packer clips. Just what the Packer nation needs ! Thanks for sharing. Love it! Would love it if you linked up on my blog hop http://www.w-t-fab.com/search/label/bloghop. Also let me know if you’d like to follow each other! This is a great idea. Nice tutorial. Thanks for linking up at Romance on a dime! !